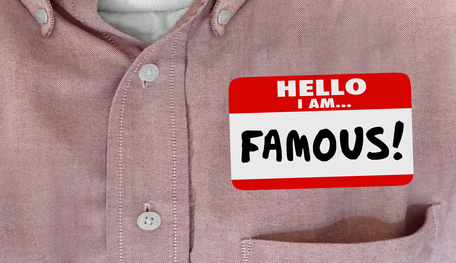 Believe it or not celebrities and other high-profile individuals are just like other people. For starters, that means they get sick and have ongoing healthcare concerns just like the rest of us. However, unlike the rest of us, privacy concerns and other issues often make it extremely undesirable for them to simply walk into an ordinary urgent care or emergency room. They also tend to be extremely busy with little additional time to drive through traffic or sit in a room full of other sick people. That’s why an increasing number of well-known individuals turn to Dr. Michael Farzam and House Call Doctor Los Angeles for medical care that comes to them, wherever they may happen to be. Dr. Farzam and his team understand the special needs of high profile individuals. This begins with a great deal of sensitivity and understanding to the specific concerns of well-known people. Whether providing care at patients’ homes, in their offices, on film sets, backstage at public venues, or other locations, the House Call Doctor Los Angeles team provides truly outstanding and sensitive care wherever our patients happen to be. We also understand that health matters are, of course, a strictly private affair and that discretion is especially important to well-known individuals. Dr. Farzam and his entire team work especially hard to maintain a zone of privacy around patients at all times, and in every way possible. Many of our celebrity and high profile patients choose to take advantage of our concierge medicine option. This involves a direct relationship between us and the patient and a simple retainer fee, without dealing with the third party of health insurance. This means that our concierge patients can depend on our services when they need them and where they need them. The retainer fee includes an executive annual physical , unlimited house calls, and access to acute illness care, monitoring of chronic health problems, skilled nursing, trauma care, and routine follow-up. To find out more about House Call Doctor Los Angeles and Dr. Farzam’s services please call us the number on this page or reach out to us through our contact page. We look forward to providing you with the highest level of medical care.